Being one with nature, seeking inspiration, and finding peace in the unparalleled beauty of our surroundings is now easily attainable through Vivo’s progressive vision in mixing comfort and functionality. Taking nature shots entails several technical and artistic complexities. Exposure difficulties, shifting light conditions, and the unpredictability of the weather will determine the outcome of the photos. Vivo’s latest futuristic smartphone, the V11, features Artificial Intelligence (AI) dual camera that can simplify these disadvantages. The superior performance of the AI dual camera is boundless. The V11 features a 12MP + 5MP dual rear camera combination with a large f/1.8 aperture and 1.28μm pixels. The 12MP rear camera boasts Dual Pixel Sensors with 24 million photosensitive units for higher light sensitivity, and DSLR-standard Dual-Pixel Autofocus technology that can lock focus in just 0.03 seconds. The photos taken by V11 are vivid and bright, with lifelike depth and texture. The pictures will be sharp and picturesque as it has exceptionally vibrant colors and stunning clarity. 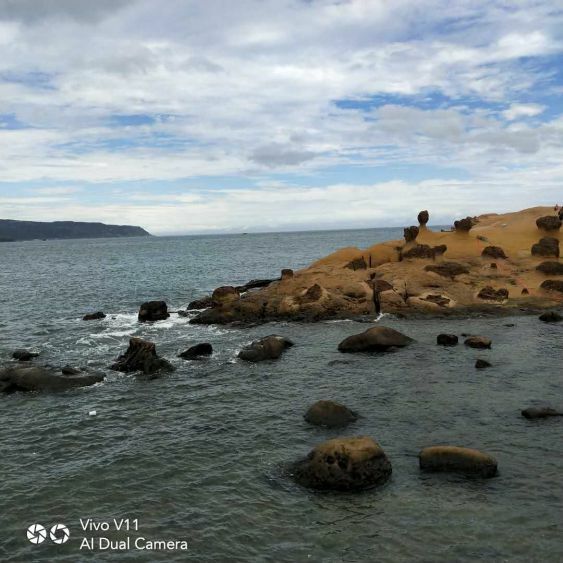 With Vivo V11, one may capture nature’s beauty smoothly, as it can accommodate even the busiest of lifestyles, without compromising on performance. Taking the perfect shot has never been easier with these ground-breaking features that remove many of the typical photography challenges and instantly turn mere amateurs into near-professional photographers. To be able to get perfect nature shots like the ones shown above, own a V11 now! Consumers can now pre-order the Vivo V11 in two ways: On ground and online. It is available in all participating Vivo concept and multi-brand stores. It will come with exciting freebies—a gift set (bluetooth speaker and earpiece with selfie stick), as well as 6 months extended warranty. Fans may also pre-order the Vivo V11 on shopping websites such as Lazada, Shopee, Argomall, and Akulaku. Freebies such 10,000 mAh game power bank, a gift set (bluetooth speaker and earpiece with selfie stick), as well as 6 months extended warranty will be included.